This past week has been a tough one. Thousands of acres of land have been burned, lives have been lost in the fires, livestock have been killed and others are missing. Firefighters and other emergency personnel have placed their lives on the line to fight these fires. While all this has taken place in our area people from all around have responded. Some have sent hay, some feed, some fencing supplies and others have sent water and other necessities for the firefighters and the victims themselves. It is an amazing thing to see how people have responded in the midst of this time. Some try to tell me that goodness and compassion are a thing of the past in our society, but what is taking place in our area reminds me that there are still good people in this world. I saw a news release about a rancher who was sending supplies to our area. He was dressed in his boots, jeans, a western shirt and his cowboy hat. The person who interviewed him asked him some questions about what he was sending. But then he was asked why he was doing it. What he said really impacted me. As tears filled his eyes, he said, “Because if it had been me they would have done the same. We are truly all in this together.” I believe it is probably the very root of why others have helped as well. I have heard of others, who have been providing meals and water for the firefighters, as well as those who were working behind the scenes to make sure that needs were being met. It is simply amazing how people from all over are joining together to overcome the devastation that has taken place. As I considered this, I thought back to what Jesus said in the Sermon on the Mount as recorded by Matthew. He had asked what man would give his son a stone when he asked for a loaf or a snake when he asked for a fish. He ascertained that if they knew how to give good gifts how much more our Father in heaven would give what is good to those who ask Him. 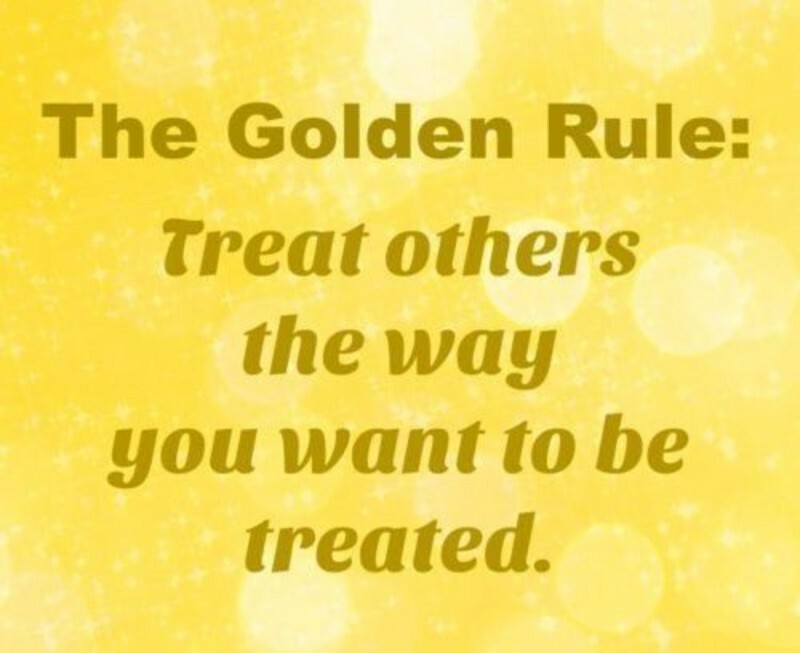 It was then, in Matthew 7:12 he said -- 12 “In everything, therefore, treat people the same way you want them to treat you, for this is the Law and the Prophets.” When I learned this as a kid, we called it the ‘Golden Rule’. Truth is it is still Golden! As I look around our world today, I believe we could make a big difference if we would follow this ‘Golden Rule’. Regardless of who we are, what we have, where we live or how long we have been around, if we would treat others the way we want to be treated, this world would be a better place. Truth is I don’t know anybody who wants to be ridiculed, pushed around or pushed away. People have that inner need that desires love and compassion. They want to be accepted where they are and loved so that they can become what God intended. The tragedies of days past have surely taught us about the brevity of life as well as those things we hold onto. Yet it has also revealed to us that when we treat others the way we want to be treated, this world is a much better place. 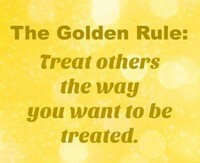 How are you doing with the ‘Golden Rule’?